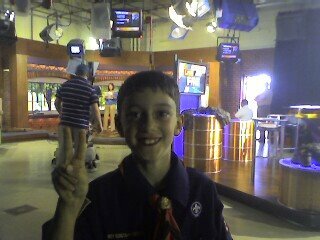 Man-cub's Cub Scout Tiger Den visited WBIR's "Live at Five" news studio in Knoxville. WBIR is east Tennessee's NBC affiliate, and today's show featured a guest appearance by country supergroup "Lonestar". A great visit, thanks to Den Leader Matt (who's daytime job is as a reporter and photographer for WBIR).